ANYTHING EMBODYING THE SPIRIT, STYLE OR FLAVOUR OF CUBA. 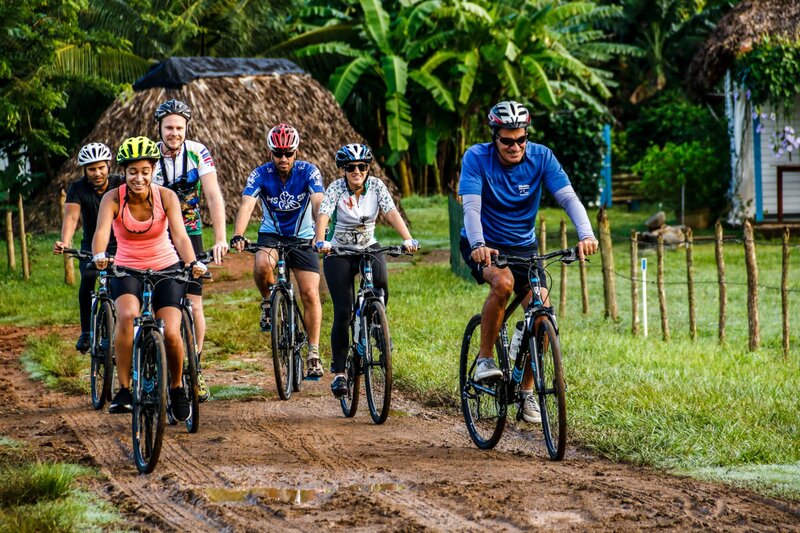 Cubania is an Anglo-Cuban team proud to boast of our international-standard bike workshop and incredible team of trained cycling guides. We want to make holidays meaningful; to enrich the lives of active travellers and our community; to expose people to a unique way of living by sharing the real Cuban experience. Travel with us and discover what makes Cuba so special. 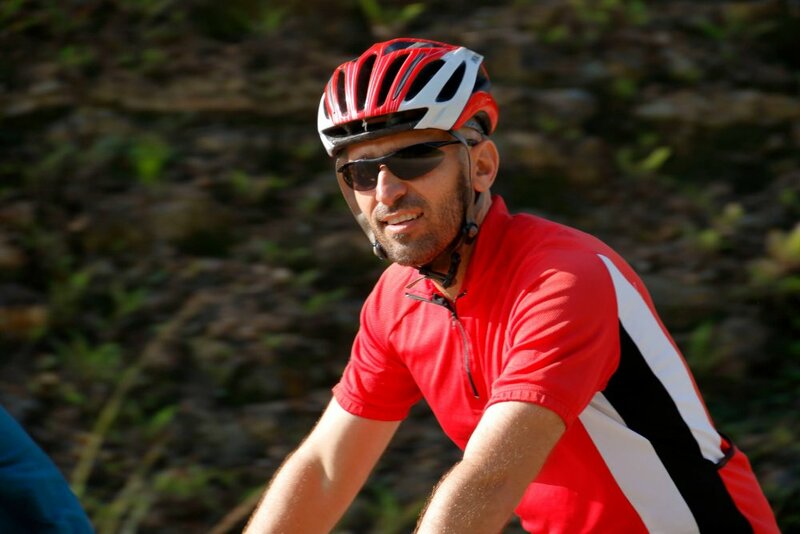 We are the island’s leading experts in cycling, active and cultural adventures for groups and individuals. 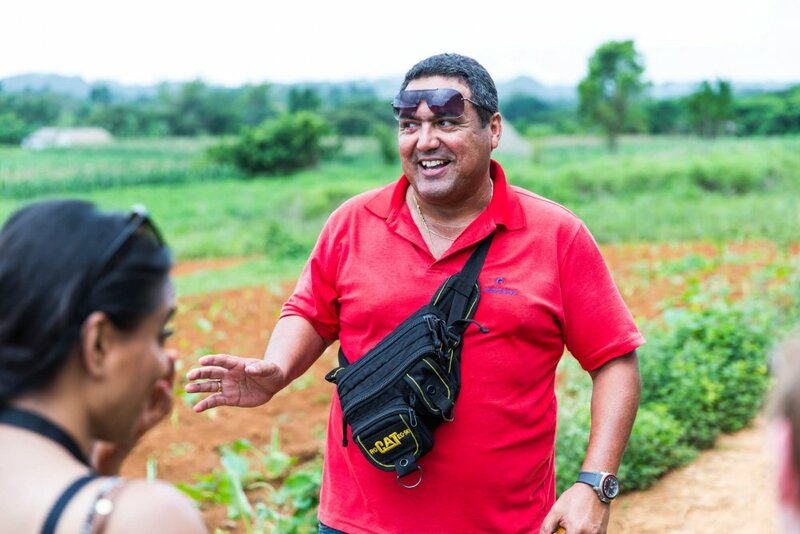 Responsible travel is part of everything we do at Cubania; from the local ground staff we employ, to the family-run restaurants and B&Bs that we use, we aim to ensure that your money stays in Cuba and supports local businesses. We are committed to showing Cuba to the world in an honest way, to reveal the uniqueness of the Cuban culture, by changing the existing perception of Cuba; not just playa, ron, mulatas. This is why we encourage our travellers to Do it the Cuban way! We have been working in Cuba for a long time; long enough to make long lasting friendships with our local partners. 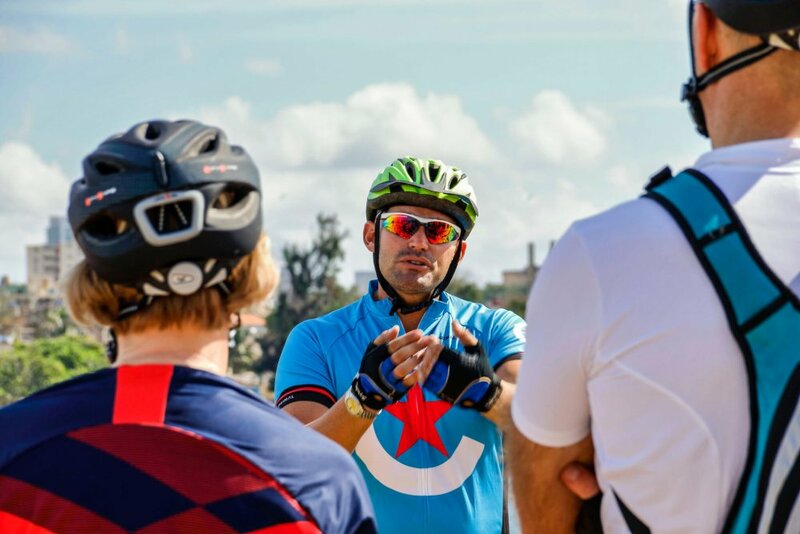 We are still the only travel company in Cuba to offer internationally recognised bike leader training (British Cycling) in addition to first aid training , guide training and health and safety training. In a country that’s constantly transforming, we dedicate a lot of time to nourishing our standing relationships and forging new ones. 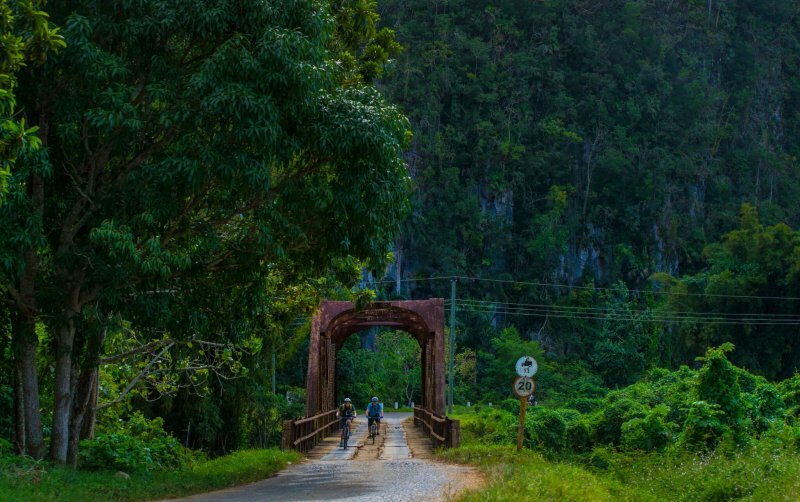 Over the years we have ridden 1000s of kilometres and explored the highroads and backroads of Cuba. 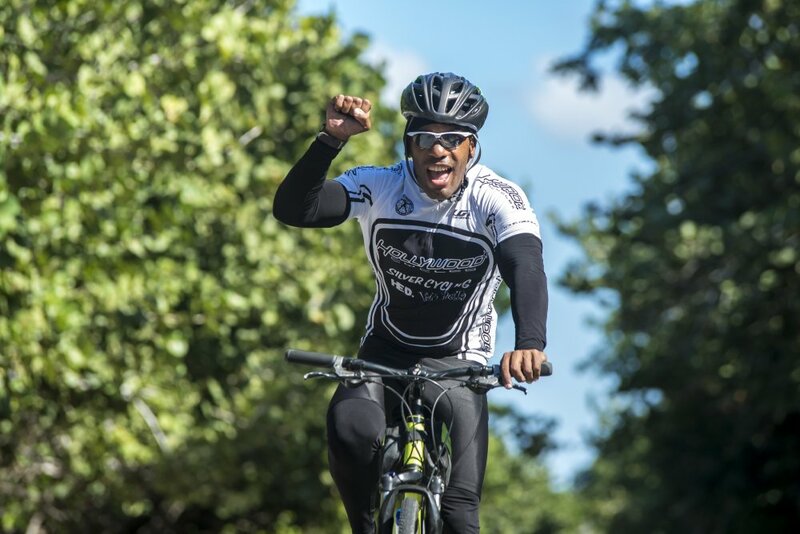 We’ve cycled with Cuban Masters and figured out what the best bike is for Cuban roads. We have a team dedicated to caring for them and making sure they are in perfect working condition year-round. 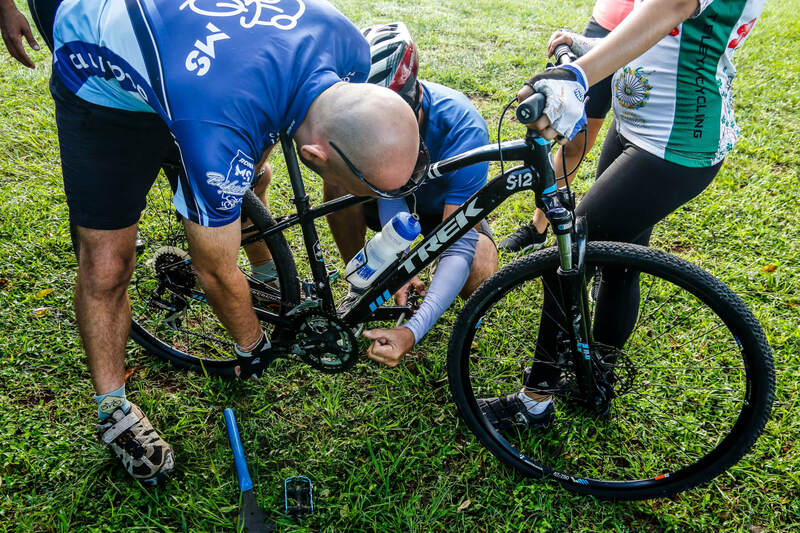 Cuba has no bike shops, so buying and maintaining bikes in great condition is one of the many challenges for cyclists in Cuba. We are the only company in Cuba to bring in all our bikes from the UK and permanently store them on the island. We have an excellent team of bike mechanics that maintain them regularly and we pride ourselves on having the best fleet of bikes in Cuba. 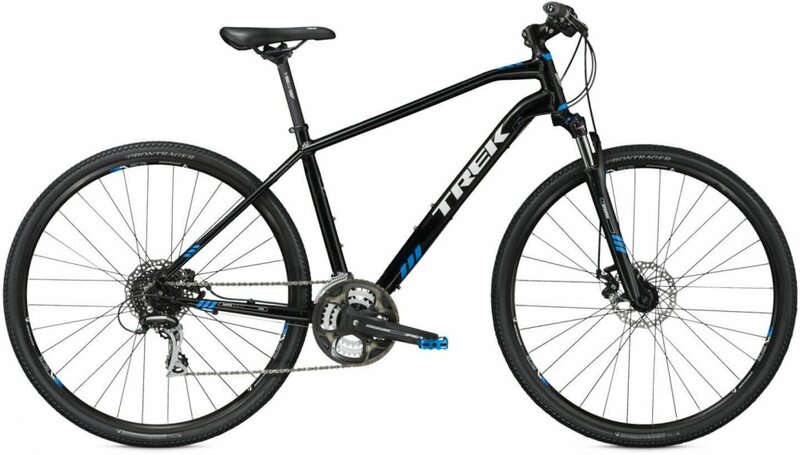 We use durable and easy to ride Trek mountain bikes fitted with hybrid tyres. 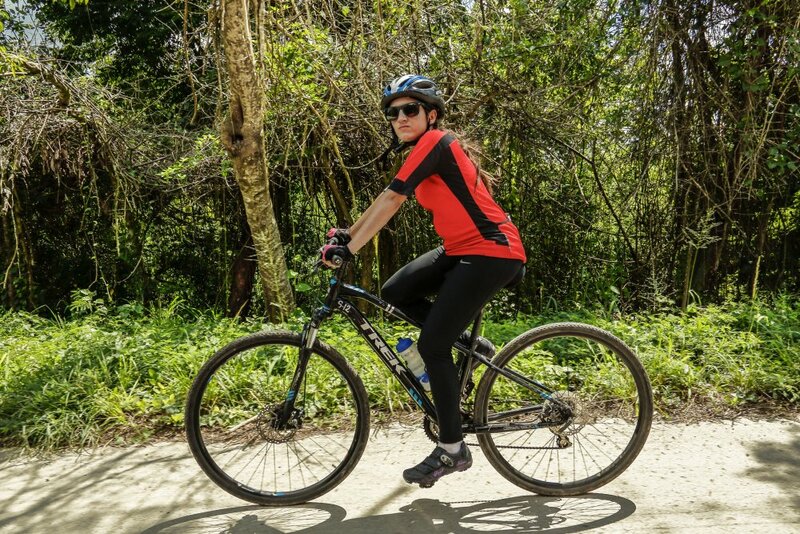 We have a fleet of over 300 bikes in Havana, including all sizes spanning from XS to XXL. All are Trek branded and our most commonly used model is the 8.3 DS. All bikes come fitted with their standard saddles and platform pedals. Feel free to bring your own saddle or padded cover (to fit universal seat post) and your clip-in pedals should you wish. Every cycling tour involves a bike fitting and safety briefing before the first ride. We have mechanics on hand to help you get comfortable. No need to bring any of your own tools – just your helmet and water bottle. Brought up in Latin America, Lucy started tour guiding whilst studying for her degree at Bristol University. After working in educational tourism in Europe, Lucy became a bike guide and led the first charity fundraising bike ride to Cuba in 1997. Instantly charmed by Cuba’s infectious atmosphere, she cycled the length and breadth of Cuba over the next few years and set up Cubania in 2003, understanding the need for an interface between Cuba and people wanting to discover the island. She currently lives in London with her Cuban husband and son and works from Cubania’s London Sales office, making frequent trips to Cuba. 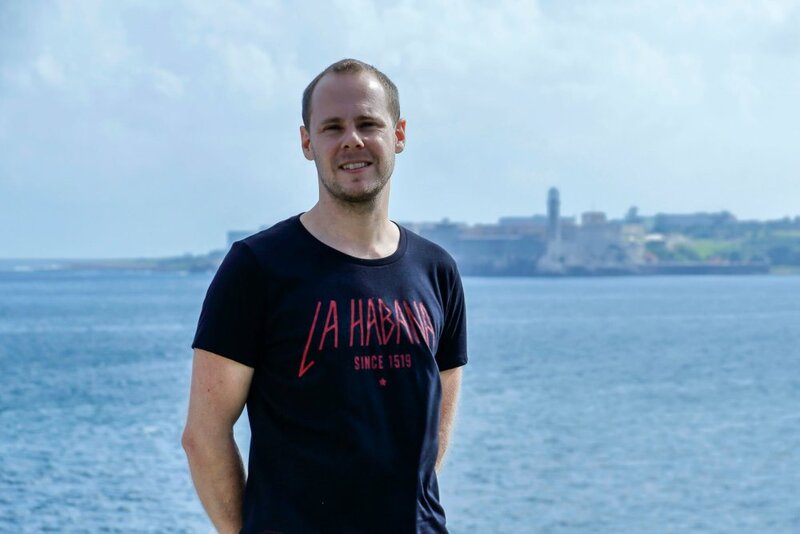 Adam joined the Cubania team in early 2017 after industry experience working for leading adventure travel companies in the UK and specialist inbound operators in Latin America. Adam’s adventures around the globe enable him to bring a traveller’s perspective to the team. 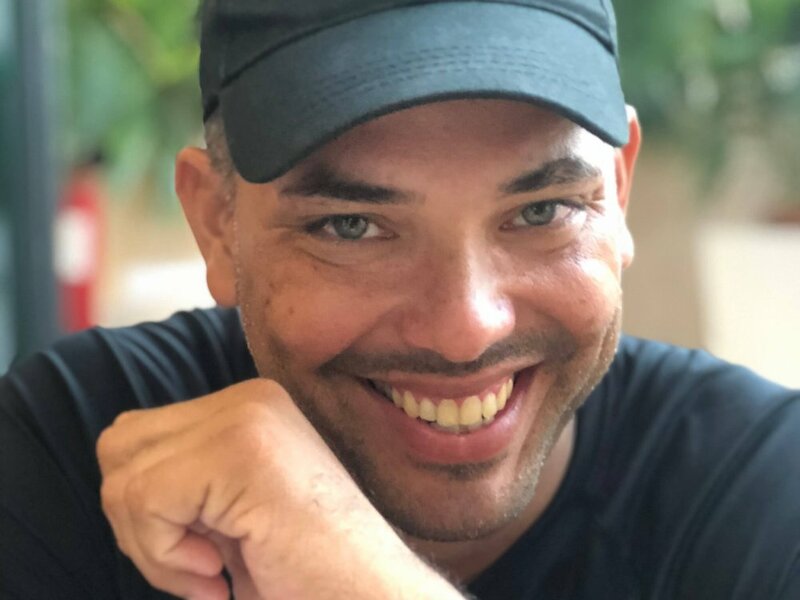 As the general manager for Cubania in Havana he is engrossed in all aspects of day to day operations, as well as creative projects and client relations. Adam’s hobbies include photography, music festivals and football (he’s the proud founder and sole member of the Havana branch of Middlesbrough Supporters Club)! Liudmila is in Honours graduate in modern languages and is fluent in English, Spanish, Italian and German. 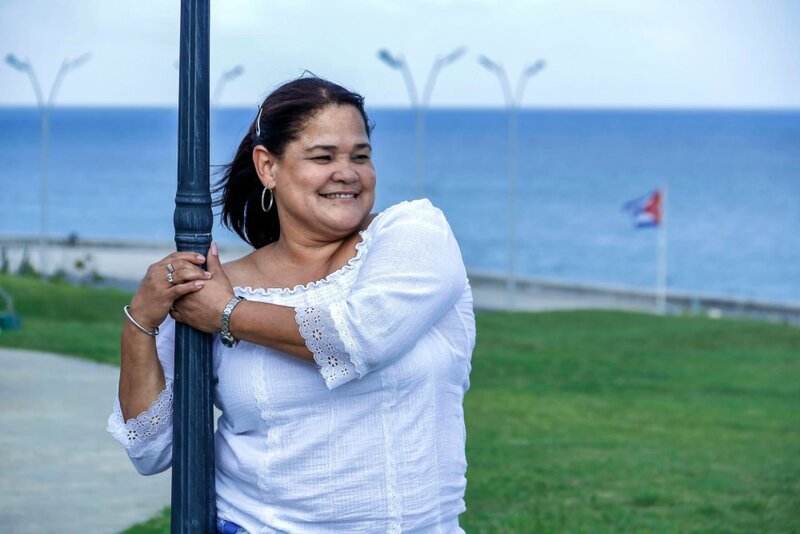 Liudmila joined Cubania in 2008 and is in charge of operations; her strength lies in building and maintaining excellent relationships with our hotel and transport suppliers. A typical Latina, she’s chatty, fun and always perfectly turned out. Born and bred in Havana, Jose has always lived within 100 metres from the sea and is a keen swimmer, kayaker and squash player who can usually be found going for a dip every evening after work. Jose is an Industrial Engineer by training and joined Cubania in 2011. His meticulous eye for detail and order has been crucial in building and organising and caring for our impressive fleet of bikes. In the office, Jose works on finding new itineraries and biking routes. 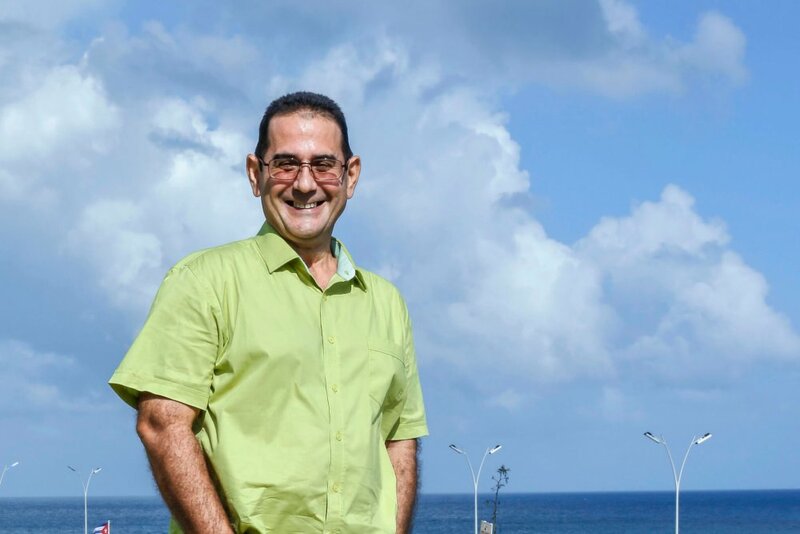 An industrial engineer, Anibal started working in tourism over 20 years ago. He was the director of Specialised Tourism at Cuban Travel Agency, Cubanacan, before moving to Cubania in 2015. 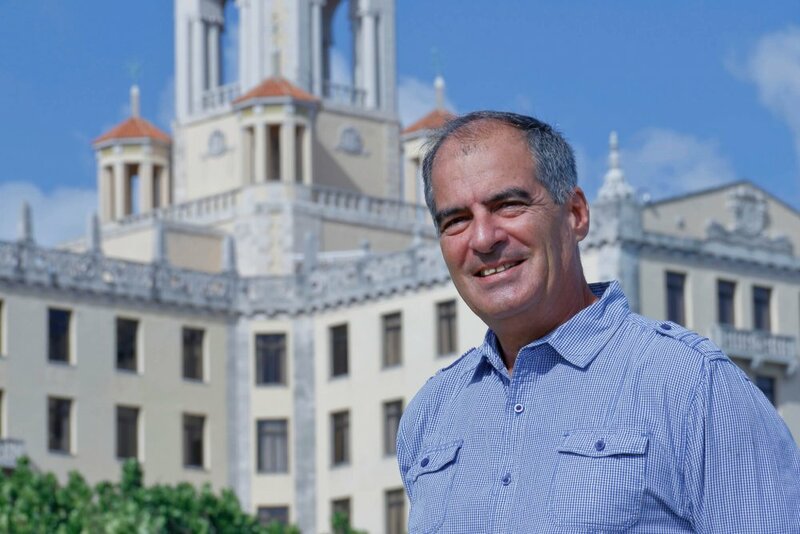 Anibal´s creativity and experience enable him to create and market new and original programmes for clients, ensuring they get the best out of their Cuban holiday. Carla studied French and English at the University of Havana before starting her career in tourism. 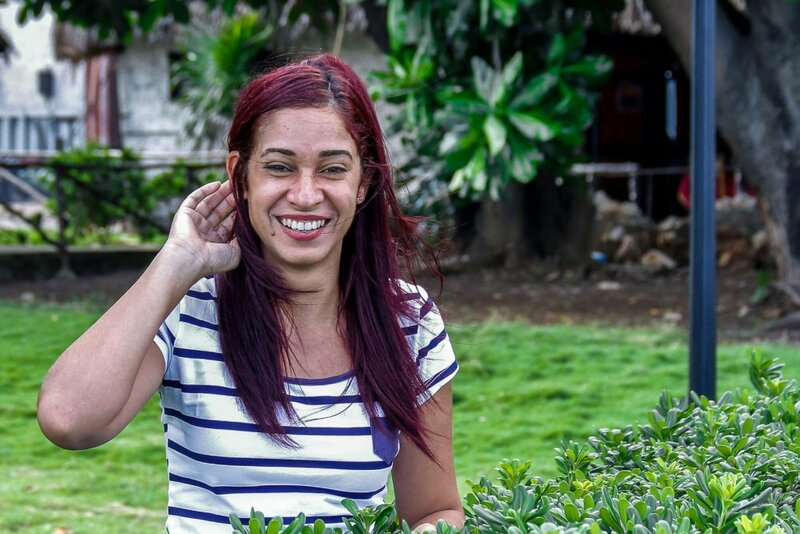 Carla joined Cubania in 2013, where she joined the Operations Team. 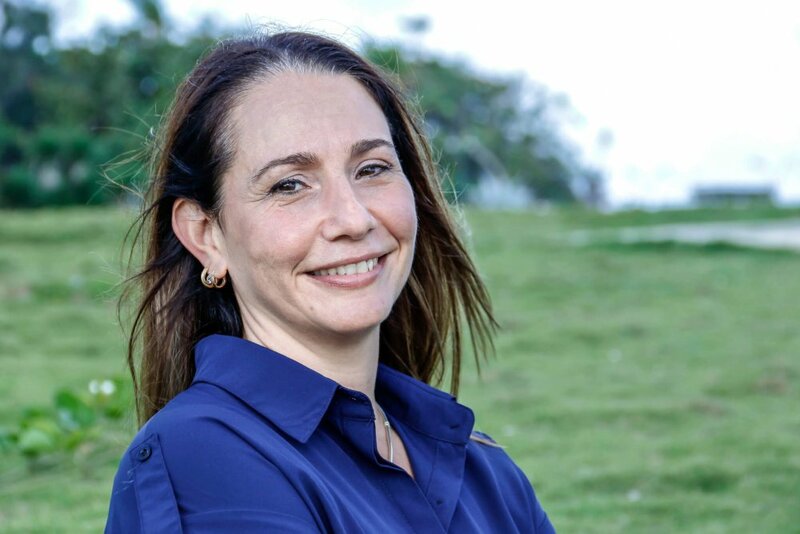 Naturally gifted in IT, she took charge of the in house training and setting up of Cubania´s new software platform and she is now the Lynch pin between sales and operations, ensuring that clients receive their trip information quickly and accurately. Carla has travelled all over Cuba with Cubania, but her favourite place is still her hometown, Havana. Originally from Santa Clara in central Cuba, Betty moved to Havana in 1975. Like Anibal, she worked at Cubanacan for many years before moving to Cubania in 2016. Betty helps Liudmila in Operations, processing hotel and supplier confirmations and briefing guides. She has a large family, including a granddaughter she adores! Serafina first came to Cuba as part of her studies in 2014. 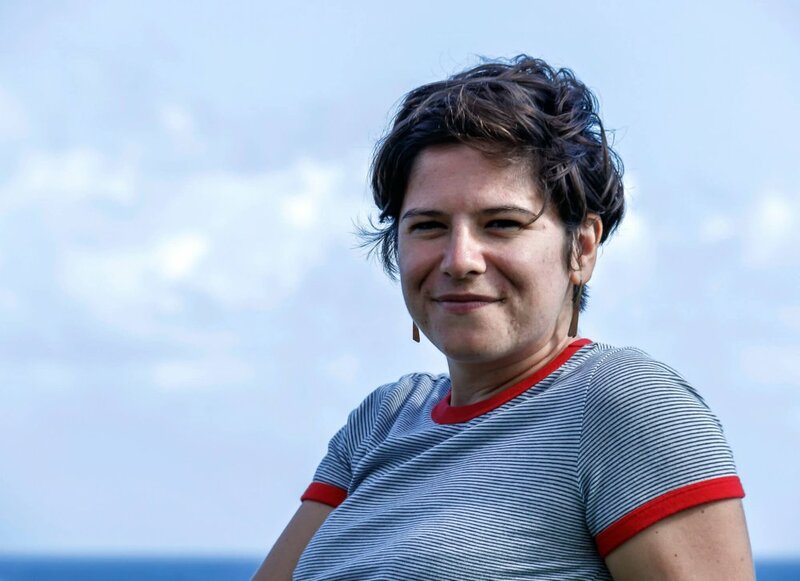 Having fallen in love with the island, she came back to work for Cubania in 2017. 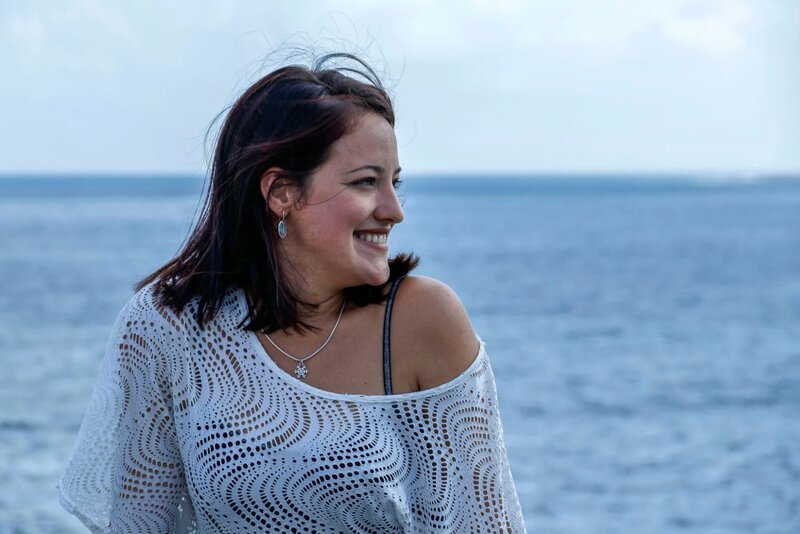 Serafina has worked in the travel industry since 2015 and her role at Cubania incorporates writing content for our publications and greeting clients in Old Havana. Liset studied Economics and Russian before moving into Tourism in 1994. 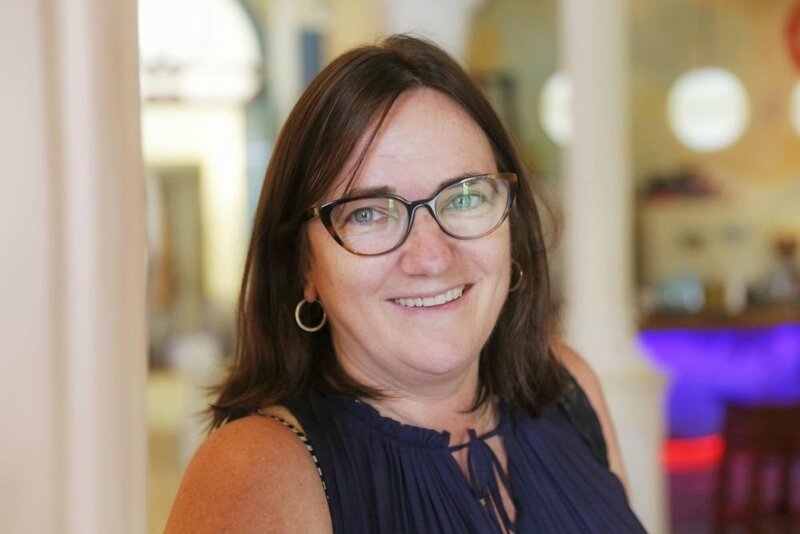 With 17 years of experience in Tourism Accountancy, Liset was more than qualified when she joined Cubania as our in-house accountant in March 2017. 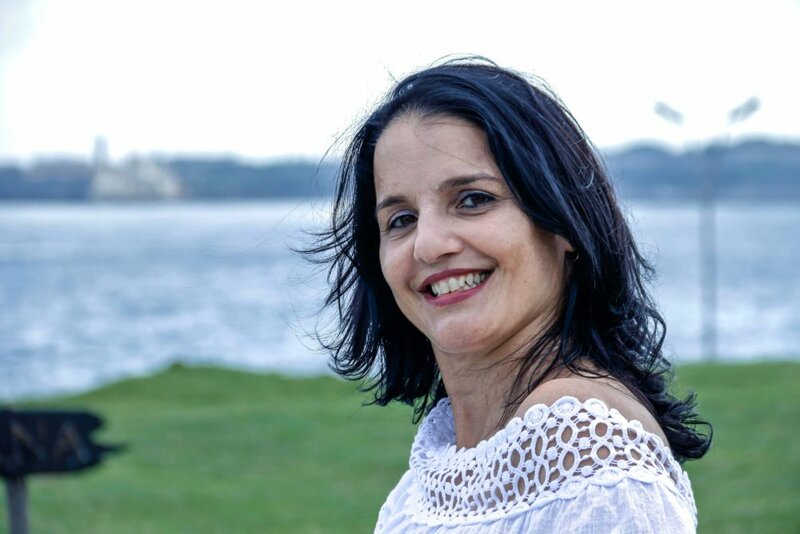 Liset loves music and dance, but above all she`s crazy about her two beautiful daughters. 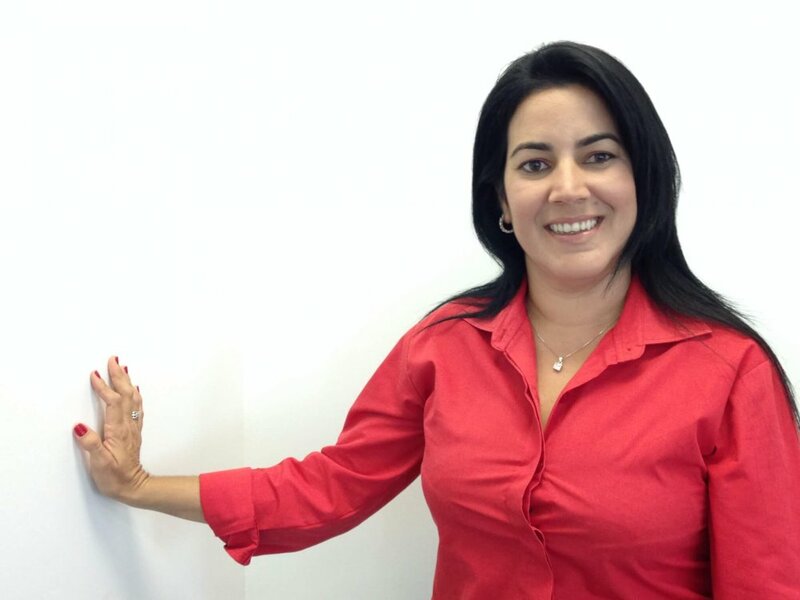 The newest member of the Cubania team, Dayana is our resident expert in operations software. Dayana studied IT and started her career in Tourism in 2008. She worked in various hotels and travel agencies before joining Cubania in 2018. She lives in Marianao in west Havana with her young family. Betty is the first member of the Cubania team that most people will meet! 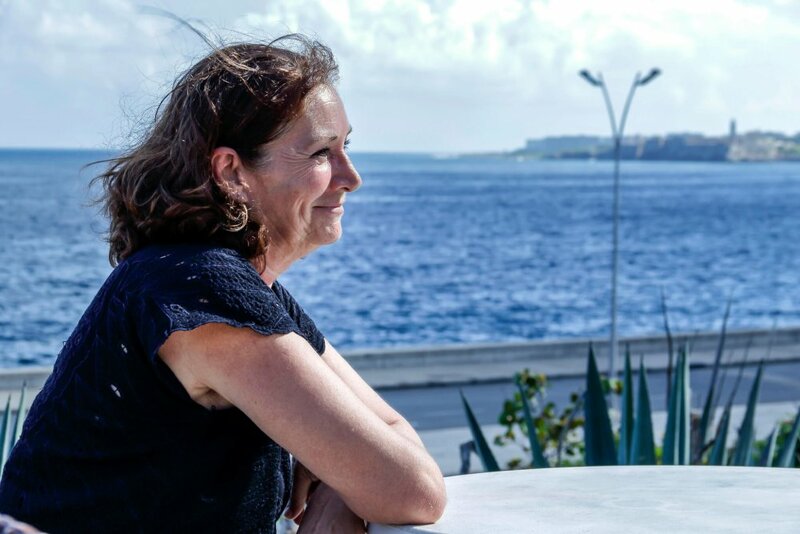 After many years travelling throughout the island as an English speaking tour guide, Betty now works full time with Cubania, greeting our clients as they arrive in Havana airport, offering tips and assistance as soon as they land. Her deep knowledge of Cuba and her hands on experience as a tour guide make her the perfect person to welcome Cubania travelers to the island. Look for the tall lady in the Cubania t-shirt! My name is Jocsan, but most people call me Jackson ever since I was a teenager, let’s blame it on the weird spelling. I was born and raised in Marianao, one of many Havana’s boroughs. As a child there were three things I always felt attracted to, music, languages and time travel. Unfortunately, the Marty McFly lifestyle didn’t pan out, so I replaced it with my love for both ancient and modern history. As a teenager my father pushed me to learn English which eventually became my obsession. By the time I turned 18 I was already teaching other people, and a year later I was running my own ESL private school even before I graduated. More than 10 years went by before I became a tour guide, and teaching gave me the chance to develop the right skills to deal with all kinds of people, be patient and try to give my best. This job is right up my alley, I get to mix my love for both languages and history in one gig and working with Cubania has given me the chance to do so. If you want to discover the ins and outs of this island, ride with me. I was born in the Guanabacoa municipality in Havana and my childhood was typical of a young generation who lived through the effects of the USSR collapse. My first English lessons were learning the Beatles’ lyrics with my parents when I was 8. Later I studied English and French at University and worked speaking on the Cuban radio. I was also previously a teacher, and maybe that is the reason why I love showing my country to those who come to discover my lovely island. My passion is History but I also just having an active lifestyle. My favourite activity is living and enjoying the authentic Cuba. Most people who come to Cuba for the first time have no idea about this piece of land in the middle of the Caribbean, but when they return to their homes with a new understanding of Cuba, I can say my work is done. I will always welcome those who respectfully want to know about, so I can tell you why baseball is our first National Sport and domino is the second one. I was born in Bayamo in the Eastern part of the island and when I was just a year old my family moved to the capital, Havana. I have a background in sports training and graduated with degrees in History, English and Italian. Prior to becoming a professional tour guide I worked for an electronics company in their I.T. department. In 2011 I joined the Cubania team of guides taking groups around Cuba on cycling, trekking and cultural tours. 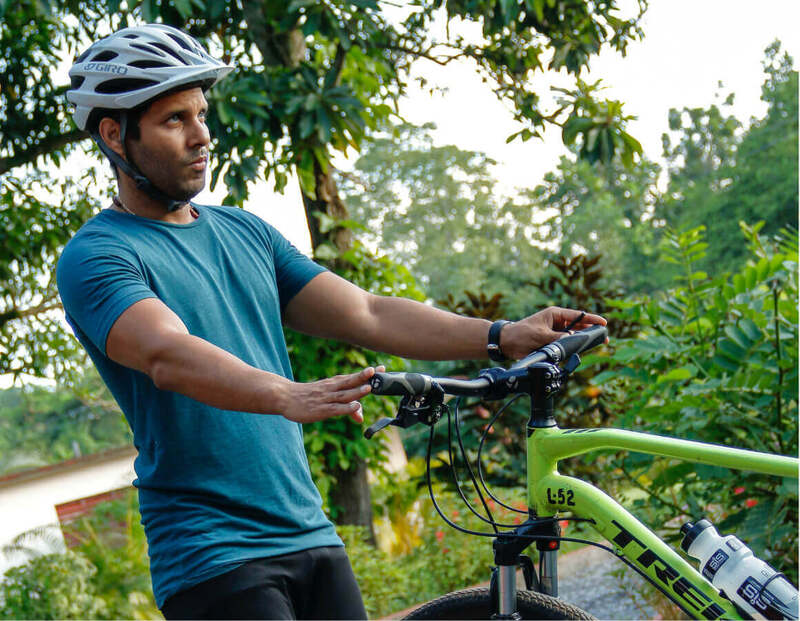 Cycling tours are my favourite as they offer a unique opportunity to discover the island from a perspective that is not possible in other more conventional tours. Cuba is a wonderful country offering something different to everyone that comes here. My favourite places to guide are Viñales, Cienfuegos, Trinidad and the Sierra Maestra. My name is Raiselis (Ray, is easier!) and I come from the outskirts of Havana province. I studied languages and literature at the University of Havana. History and Stylistics are my favourite subjects, but I also enjoy reading, dancing. I have been working as a guide for 15 years now, and this has opened up new horizons allowing me to discover other cultures. With my job comes interaction, challenges and spontaneity – that’s what I enjoy the most. With Cubania I have found the way to share the authentic Cuba with my clients. So, join me on a trip and my island will be yours forever! I’m from Arroyo Naranjo, a suburb of Havana. My inspiration to learn English was a pretty 6th form teacher; I then went on to university to study English and French, graduating with joint honours, and in my third year I decided to add on German as well. I had many different jobs before becoming a tour guide including working in a bakery, working as a welder, renting out VHS movies, painting tourist handicrafts and of course, working as an English teacher. Anyone who wants to discover something different (and be technology free for a week or two) should visit Cuba. I assure you you’ll go back home with a new understanding of the country and its people who are proud of their culture and heritage. We may be a small island in the Caribbean, but the world certainly knows we exist! I was born and raised in Cuba’s capital, Havana. After a stint at military school in my teens I studied languages and realised my dream was to be a tour guide. I went through many jobs before I started guiding, including teaching English and history classes at high school level, selling underwear in a department store and working as Head of Security at a tourism school. It was here that I heard about a travel agency that was looking for a guide, and the rest is history! My favourite places in Cuba are Baracoa, for its unspoiled nature, cleanliness and friendly locals, and Santa Clara for the Che Guevarra mausoleum and museum – a very interesting and emotional place to visit. I also love Trinidad for its charming colonial architecture, rich cultural history and stunning nature, and of course I can’t miss out our vibrant and fascinating capital, Havana. I am what you call a Villa Clareño, someone who was born in the province of Villa Clara, in a small town called Miller. From a young age I enjoyed going to school and practising sports, in particular Karate. 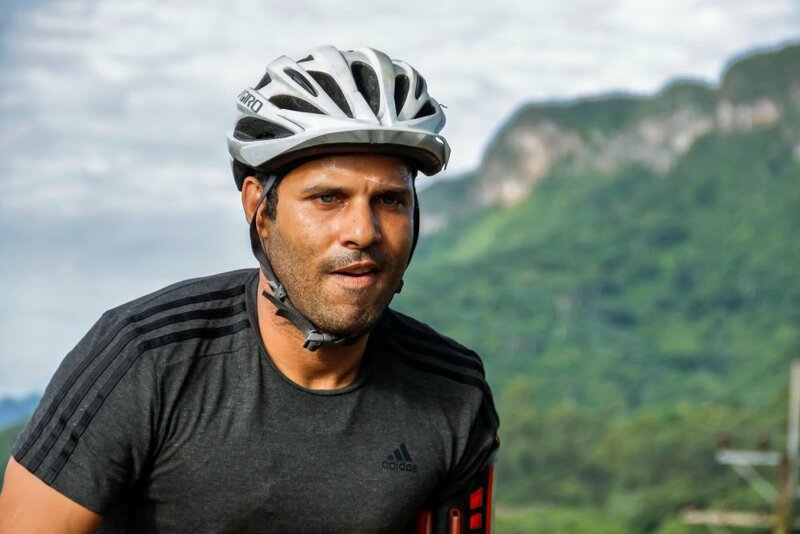 Thanks to my enthusiasm for the sport I was spotted by a sports specialist and continued my education within the educational sporting programme that Cuba offers to those who show a talent in a particular area. I was recruited to the national team but sadly had to cut short my sporting career due to an injury. I decided to go to university in Havana to study languages and graduated with a degree in French, Italian and English. It made sense to use this to my advantage and pursue a career in tourism. Although I enjoy meeting and working with tourists of all nationalities, I particularly like the British for their great sense of humour. I like walking and spending time outdoors, dancing and generally enjoying the positive and vibrant opportunities that my country offers. I try to put this positive attitude across to all the people I meet during my work. My name is Elena and I come from the outskirts of Havana. I have a degree in Tourism from Havana University and since being a tour guide this has turned into the most important part of my life. I feel a deep passion for showing the beauty of my country to those who want to visit it, and love meeting amazing people from all over the world. I believe in the power of Cuba to change travellers’ lives because of how authentic, exotic, different and unique my little island is. My favourite parts of running tours are being in touch with the population by visiting communities and small farms, and creating bonds with travellers making them feel that once they return home that they’ve left a little piece of them behind in Cuba.